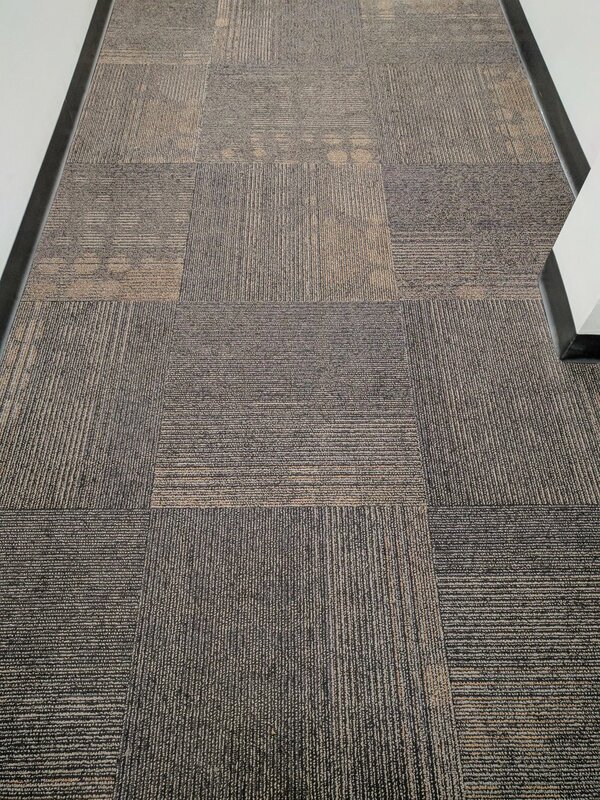 Our preferred method for most commercial carpet cleaning is encapsulation method. 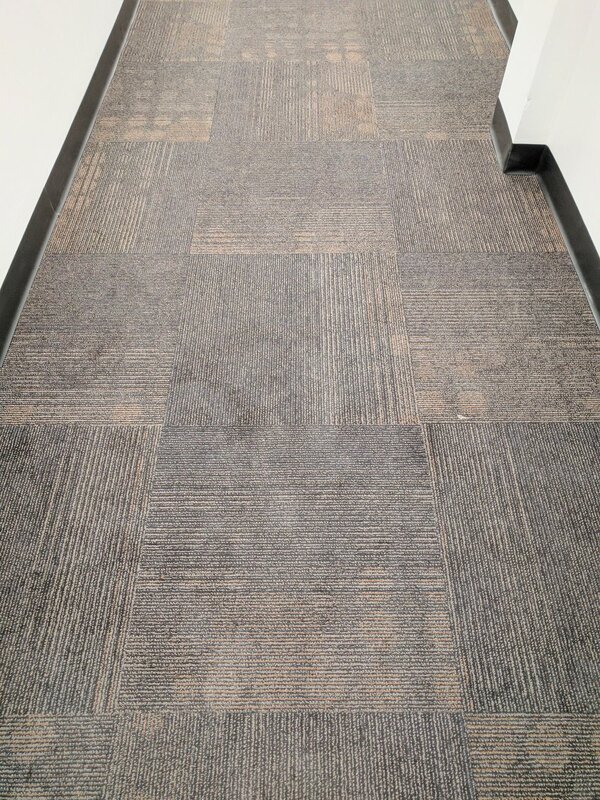 It allows all doors to the building to be closed and secured for safety, and has the added benefit of no added heat to loosen the glue holding down the carpet. Clients are always blown away by the results and love the low moisture levels accompanied by quiet operations. We originally adopted this method for use with our call center clients the noise levels are low enough as to not disturb a phone call. It is an excellent process that speaks for itself, for added info I have attached a summary from the JonDon website below the pictures. It does an excellent job of restoring the carpet to its natural colors. Encapsulation cleaning is an interim carpet maintenance method. In this process, the encapsulating chemical is sprayed onto and then brushed into the carpet using a cylindrical or rotary brush machine or bonnet. The encapsulation chemistry surrounds each soil particle and crystallizes it so it can’t attract other soils. 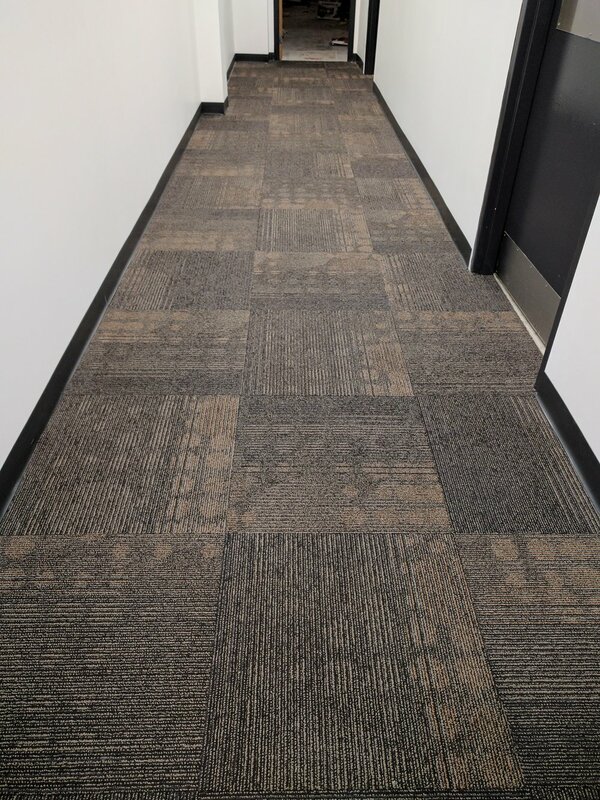 The encapsulated soil particles release from the carpet fiber and are removed by normal vacuuming which will generally be done by the janitorial staff at regularly scheduled times. Since this is a low moisture system, carpets can be put back into use promptly. This process allows maintenance companies to provide a continual high level of appearance at a lower price than other traditional methods while generating high levels of productivity. This method is designed for commercial maintenance only. Encapsulation cleaning should be periodically followed (every 2-3 cleanings) by thorough hot water extraction. Using a bonnet machine, grooming brush or cylindrical brush, work encapsulant into the carpet. After the carpet is dry, encourage property owner to vacuum. Continual vacuuming will pick up the encapsulated debris.